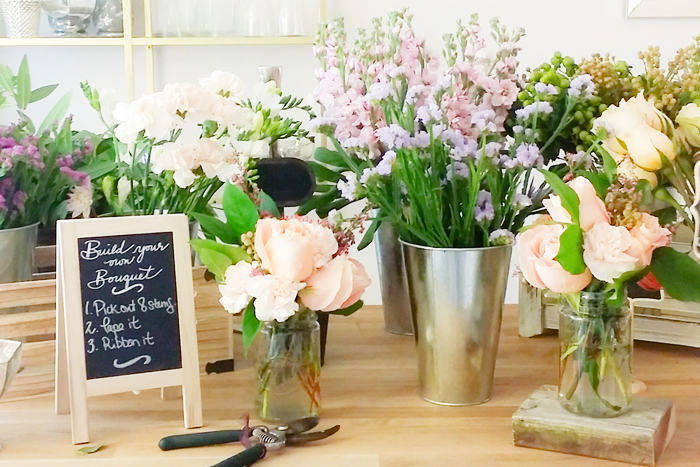 I’m beyond excited to host this DIY Wreath Making Workshop with DeLight Floral + Design! Sarah recently renovated her home studio (see photos below!) 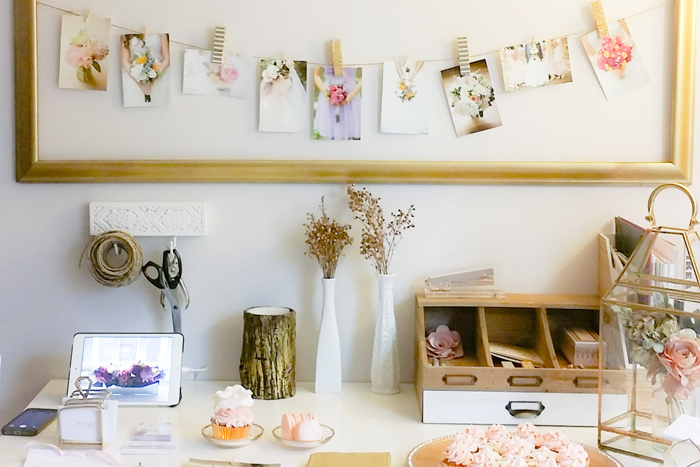 and we are collaborating to host our very first DIY Workshop in Toronto! 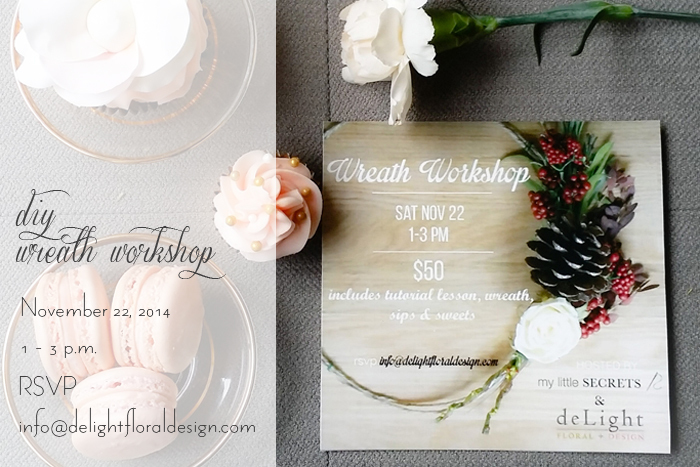 If you’re looking for a great way to spend your Saturday, meeting new friends, and being surrounded by beautiful inspirations while learning how to make a whimsical holiday wreath, we’d love for you to join us! Keep reading below for full details and how to RSVP, spots are filling up really fast and we may even hold a second session! 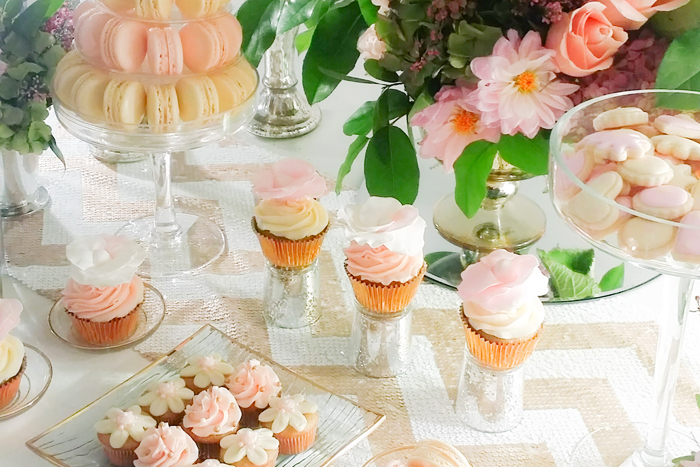 Cost: $50 includes all material, sweets by Steffie’s Sweets and Treats and a take home surprise from Shop for Jayu. 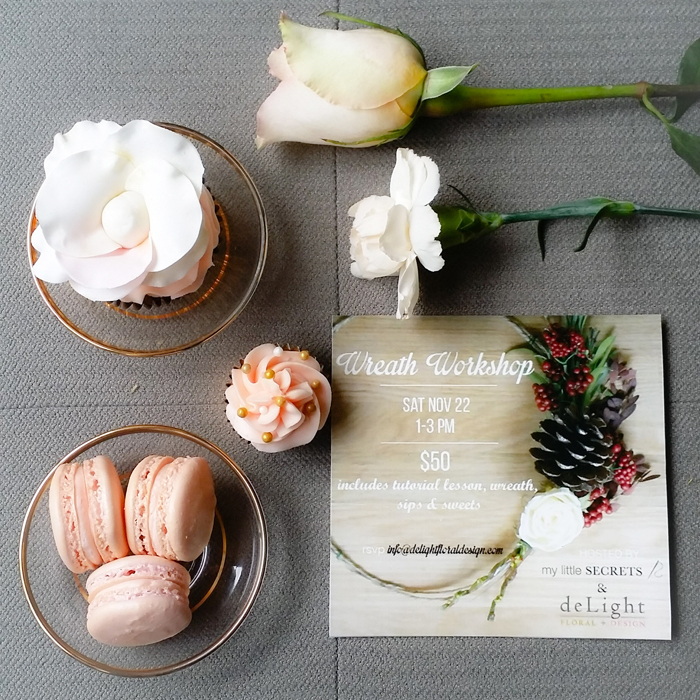 RSVP: Email info@delightfloraldesign.com to reserve your spot! Can’t wait to see you there! In the meantime, here’s a sneak peek of our DIY Wreath Tutorial to get you prepped for this workshop!